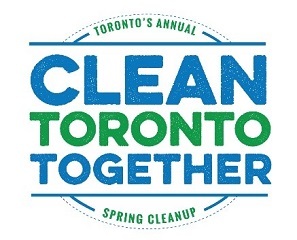 This year the Casa Loma Residents Association is participating in Toronto’s 16th Annual spring cleanup – Clean Toronto Together. Last year’s event attracted 200,000 residents, students, businesses, organizations and community groups. Our goal is to clean up Wells Hill Park, the Nordheimer Ravine between St. Clair Ave. and Spadina Road and the Casa Loma Parkette on Walmer. Bring out your neighbours and family members. Get reacquainted with neighbours you haven’t seen through the winter. Come for the full 2 hours or part. We will have group captains at Wells Hill Park (for Wells Hill Park and Nordheimer Ravine) and at the Casa Loma Parkette on Walmer (for the Casa Loma Parkette and Nordheimer Ravine). Garbage and recycling bags are provided by the City of Toronto. Bring whatever else you feel would be helpful. Finish Time: 11:30 AM or before. Committee of Adjustment Defers Application for Day-Nursery at 105 Wells Hill Ave.
CLRA Submission to Committee of Adjustment re: 105 Wells Hill Ave.
Traffic Study Information and Drop-in Event Tuesday November 6th. Casa Loma Heritage Conservation District Study Update and Open House. The CLRA keeps a record of the names, street address, email addresses and phone numbers of residents who live within the boundaries of the CLRA and who have been identified to us through membership registrations, community events and referrals. We do not share this information with any other party, including other individuals or organizations in our community. Everyone for whom we have information receives email communications from us. If you wish to stop receiving emails, please reply back to any email received and all your personal information will be removed from our database. Our database is maintained on a private server independent of the server that provides our web hosting. We do not receive your credit card number, expiry date or security code when you pay for your membership on line. That information is received by our credit card processing provider. We have chosen Stripe Inc. as our processing provider, one of the largest companies in the business. The CLRA has secured an SSL certificate so that all information is encrypted in your credit card processing. The opinions expressed on this website or accessed through this website are not necessarily the opinions of the CLRA or any of the directors, officers, staff, volunteers, members or agents thereof.